Tickable, cross-out-able, tear-up-able, burnable ( unless the list is on an electronic device – blow-up-able?) – very kinesthetic. Procrastination enablers – especially if the list is colour-coded, frequently rewritten for neatness, or annotated with once meaningful symbols to be puzzled over. Everyone does this, right? The illusion of industry – it looks like you’re working and being organised, without actually having to do anything. Yet. The small explosion of brain chemicals reacting to produce a pleasant sensation when you’ve ticked everything. 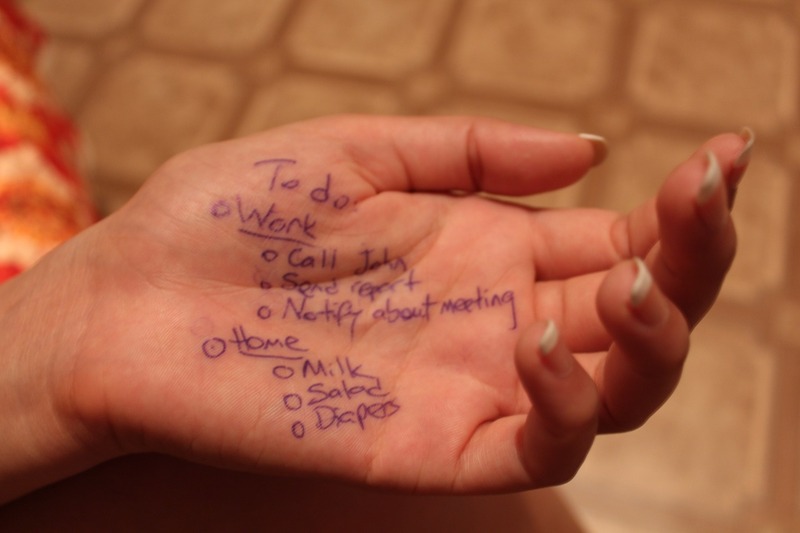 This is also the time to start a new list, to re-experience that brief neurochemical rush in the near future. Perfect productive activity for bouts of insomnia when your brain is only giving you 50% of usual service. Meta-listing – a list of lists: to-do list, shopping list, Project X rewrite task list, Amazon wish list(s), projects list, films for research list, places to go for research list. A list to prioritise your lists. Blog articles made of lists – not a fan.